Hannover Messe – Making the benefits of digitalisation tangible – that was the declared objective of Hannover Messe 2017. After five action-packed days at the world’s leading trade fair for industrial technology, the organisers spoke of a thriving event. 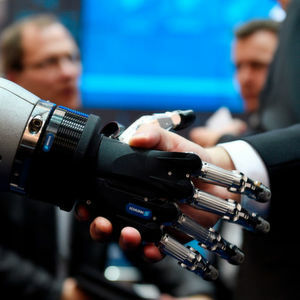 A large number of solution-seekers gathered in Hannover to immerse themselves in the potential of intelligent robots, adaptive machines and integrated energy systems, taking attendance to new heights. “More attendees, more solutions, more international – that aptly sums up Hannover Messe 2017,” commented Dr. Jochen Köckler, Member of the Managing Board at Deutsche Messe. “Over the past five days, Hanover has served as a global hub for all things related to Industry 4.0. Every sector involved in the digitalisation of industry was on hand to showcase its answers to the key question faced by industrial enterprises everywhere: How can I best get my company into shape for the digital future? Hannover Messe has resoundingly underscored its value as a prime source of orientation for decision-makers from around the globe,” he added. The show’s chosen lead theme of “Integrated Industry – Creating Value” put a major spotlight on the benefits of Industrie 4.0 and the role of humans in tomorrow’s integrated factories. As this year’s featured Partner Country, Poland called added attention to the need for close cooperation throughout Europe, while impressing attending professionals with its credentials as an innovative partner to global industry. Of the show’s 225,000 attendees (up from 217,000 in 2015 as the most recent comparable event), more than 75,000 came from abroad. 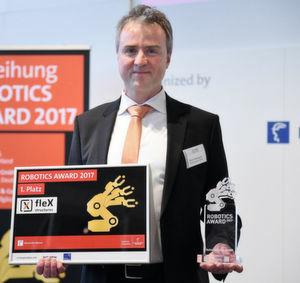 “This is an unprecedented figure in the 70-year history of Hannover Messe,” commented Köckler, adding: “This impressively proves that decision-makers from around the world rely on Hannover Messe as their definitive source of Industrie 4.0 orientation and solutions.” The largest number of foreign visitors came from China (9,000), followed by the Netherlands (6,200), India (5,300) and Poland, whose 5,000 visitors set a new Partner Country record. The long-term impact of Partner Country participation was underscored by an impressive 3,000 visitors from the U.S. as last year’s Partner Country.